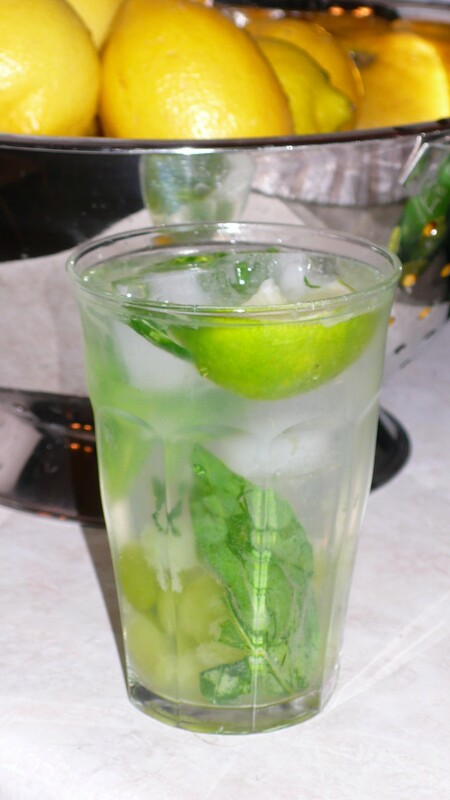 In a collins glass, Gently muddle basil, grapes, and sugar with a splash of club soda until the grapes are just broken. Pour in the gin, fill with ice, and top with club soda. Garnish with lime wedge.